When a member sells 10 spots in one day and comes to me with an order of 4 cards to print while the first card has barely been mailed, you can’t deny being curious as to what the heck is going on! Fortunately, our member “Steven” has done just that and has granted me an interview (12 pages long). Steven sold his first card by cold call only, no visiting in person and managed to command an $800 price per ad. He then changed strategies and has blasted through 5 cards within weeks. As a premier member, you’re entitled to this exclusive interview. Enjoy. P.S. To read the 15 other previous member interviews, check them out here. What is it that made you want to start this system in the first place? My partner and I have been doing some offline businesses and running into dead ends. I (he doesn’t visit the forums) saw Jake’s thread and was intrigued. Then, I saw the WSO was released, and while higher than normal, I went to my partner and asked him what he thought. He said we can definitely do this, and we bought it, almost immediately making our money back. How long did it take from when you first learned about the 9×12 system, to the point where you actually started going out and taking action? How long did it take for you to fill up the whole card once you started prospecting? What methods of prospecting did you use and what kind of pitch did you use? Walk in and calling some of the “non-location” specific businesses, like blue color guys. Did you target certain businesses? Did you find that some types were easier to deal with than others? Eyeglass stores seem to be the easiest, lol, we have 3 of them on 3 different cards. Any examples of how you overcame some objections that they gave you? 3 places said to us as we were walking in the door “we aren’t interested no matter what you are selling” and we just pulled out the card and started talking. They signed up and one gave a referral. Who did you use for designing the Ads and how did that go? We chose price over quality and it was a horrible experience. Never again. What would you do differently if you were to start from scratch again? What advice would you give anyone that is just starting out to fill their first card? HOw profitable has it been for you so far? Where do you see it going a year from you? No this is not me haha, even though we share the same name. Hi, my name is Jake Lewis, I started in graphic design back in ’99 at a service bureau and web agency fixing other designer’s layouts and coding local directory sites in cold fusion. Over the years, my career has led me through interactive design, multimedia marketing, launching a soft-proofing dot-com, helping 600+ SirSpeedy and PIP print franchisees with online marketing, IT project management and Agile Business Coaching. Now as a local web consultant, this product was a perfect fit for my urgent need of offering clients new ideas to rev up their brand presence both online and offline and to ultimately generate more revenue. In all my years online and buying offer after offer, this is the first time I have come across a product that I could do part-time, offer a great extra exposure point for my clients and had REAL income potential. Easy buy. What is it that made you want to get into direct mail in the first place? I have always helped companies with direct mail through marketing roles but never ventured into the arena on my own until I read about how to leverage the new system by the postal service that you revealed in the guides. In my day job, I help launch technology solutions for large marketing companies that do direct mail as their main business in various markets like automotive and retail. There I saw the problems they experienced with certifications, return mail, hard to track response rates and so on. But this idea you presented is brilliant and simple to execute and doesn’t have to worry about any that and has incredible response rates. How did you go about prospecting and how many owners did you have to talk with before landing clients? I was extremely scared to prospect and cold call, your helpful step-by-step instructions gave me the confidence to tackle a specific area and reach out to all of my area merchants. My initial prospect list was around 600 and through a few hours of cross checking and research, I was able to talk reach out to 35 business owners directly within my first week after getting started by attending a networking event and walking in cold on a random Saturday afternoon. So far, I have landed 13 fun loving clients who have purchased additional services like mobile website development, reputation and review management and social media contests using the postcard as a launch pad. Admittedly I am still not quite sure of myself in regards to sales, I did post three area classified ads looking for outside sales people and I have to say, after crunching the real numbers, You can hire two sales people at standard rates and give them bonuses per ad and sheet and STILL MAKE a nice Income with this. I am looking to hire an account manager as well. Yikes! rapid growth wasn’t in the manual. This is one WSO that undersells itself. Basically, I started by becoming ‘known’ in the area though social media creating brand awareness, I then injected targeted ‘letter’ marketing to those who needed help because of bad reviews and also made a presence at a local networking event dropping vague business cards on the tables. It only takes a few clients to make you very busy quickly as you know. Did you target a certain business type? Did you find that some types were easier to deal with than others? I found that some businesses like pizza parlors, dentists, and service professionals were more receptive to direct mail and this format of postcards because it fits into their current marketing scheme and they are always looking for new points of exposure. Your report on the top businesses to target was spot on and the seminar with Erika was extremely insightful in that regard. I had one customer decide to just do a whole jumbo card himself and have his employees pass them out in parking lots. Let’s just say he owns a few large name pizza franchise locations and now wants to run different cards in various areas for six months as a ‘trial’. Not to mention, corporate did most of the design and layout! Cha-Ching!! Another client, who is a dentist, opted for both the jumbo card placement and a half sized card for 4 months. It was awesome picking that check up, but I did trade for some work too to sweeten the deal for me. Now that is a healthcare plan I think most people can get behind. I find that business owners love to get extras or trades in today’s economy. So i encourage others to try to barter and trade, need auto repair work done? knock off a few hundred from the ad space and get oil changes for life. Any examples of how you overcome objections that the business owners may give? In terms of objections, I researched a bit more about sales techniques after your course and found ways to create scripts that would help me if I ever got stuck on the phone. After a few calls, it became super easy and my confidence level was high enough to get over most objections, in the end, if they object tooooo much, it throws up a warning flag that you may not want them as a client. ~I am curious to know if anyone has had problems from other distributors while trying to sell this. I use to do work for a rackcard distributor and they were very territorial. In fact, one of the sales person interviewees this time was from a competing distributor. I think red plum maybe. Sorry I can’t help on this question. I design myself but may need to outsource this later as it seems the creativity and shear dexterity starts to fade as we get older. Even at 37, my wrist has more miles than most frequent flyer airline reward cards. I waited too long to order the samples from you, the print houses and others. Ramp up was about 6-20 days total. When my salesperson prospects started coming in for jobs, all I had were a few ‘borrowed’ jpgs and an inflated MSRP price mockup I was able to piece together in illustrator using the template. My other big concern was finding the right printer and waiting for their samples. I know you covered this but I’ll be nutty if clients don’t ask for Vistaprint everytime and wonder how I get my cards for less than Joe down the street. Clients really need to see the quality, stock, gloss and size to get the full picture and you mention in your sample scripts. I don’t personally own anything that will print 9×12 and a few local printers were very reluctant to do matches or hard proofs for me. What advice would you give anyone that is just starting out with offering direct mail services? I would tell anyone that is just starting out with offering direct mail to have the confidence to just do it. The entry risk is low and the payoffs can be huge. If you feel better about it, try offering it as a fund raiser like the schools do with those entertainment brick books. For my postcard, The Pony Up Saver, I actually donate an ad space and a portion of the proceeds to help a local horse sanctuary and based the postcard’s ‘hook’ around that. Clients like that they are helping local charities while getting fantastic response at the same time. It’s fantastic that you’ve got numerous solo mailings under your belt now. Are you working on a 9×12 anytime soon? I am working on the Jumbo card and have it about half sold so far. Actually, I should clarify, I have two different mailings half sold. So that is a total profit per month of nearly $9300 The templates were extremely helpful and I was able to talk up a few more spaces for extra income from a few clients. I have to say, the solo jumbo mailer was extremely successful and will be another option I offer. I did have to cut back on my first run to a 10pt stock. but after seeing your hard samples, I will certainly try to convince the client of the value with the heavier stock. I am really just getting into the internet marketing realm and offline products seem to be very hot. I have to say I was intrigued with your original post on the warrior forum and have been following ever since due to the strong sense of story that seemed to unfold from the time you went on to simply help to now releasing products. Awesome. I look forward to your future products and will offer a testimonial anytime I can. Not sure if this helps, but might come in useful later. My last consulting job was with Aspen Marketing which is now owned by Epsilon. The project I was involved with (titled NxGen) is looking to merge web-to-print and email marketing into a single product that is simple to use for automotive and retail clients like GM, Target and AT&T. this was was backed by millions in funding. My thought here is: Does it make sense to create a web-to-print single ad designer for this product like other online print houses offer and will the client base want it? I had been trying to break into the offline arena for the last year. The postcards looked like a great “ice breaker” to get my foot in the door with local business owners. While the shiny new tech ways of doing business can be great most business owners don’t know about them, understand them, or want to spend lots of money on them especially from someone they just met. With the postcards I don’t have to bring them up to speed or educate them before I sell them. They immediately see and love the product and then its just a matter of pricing and distribution. The first card took 3 weeks and now I can do it in 1-2 weeks. I like a 12 spot card so only 1 sale a day will fill the card in 2 weeks. My best day yet was selling 4 spots. How many cards have you completed so far Zen? I have tried email, cold calling, and cold walk-in. I like the walk-in method the best. Our main selling feature is the professionalism and beauty of our postcards. A lot of sales can be made once you get the postcard in the hands of the decision maker. By walking in you can get the immediate “WOW” factor and can start building an immediate rapport with the business owner. I want to always have a plumber, auto repair, pizzeria, gym, vet/animal hospital and other restaurants. Some other easy targets are gold buyers, car lots, insurance agents, and home offers. On one card I did a whole side for home offers (nursery, landscaping contractor, painter, plumber, kitchen design/cabinetry, heating/ac, & homeowners insurance). These clients only need 1 job from your 10,000 mailers to have a positive ROI. Don’t second guess yourself about whether a business will want to use the card or not. Just go into every business you can and talk to as many decision makers as possible. You will be surprised sometimes at the different types of businesses that will give your postcard a shot. Objections are good. That means the business owners is interested but just needs their questions answered to make the sale. I address their objections by tying the features and benefits of our product to their personal situation. Of course the main benefit is that they will get more customers and the ad will be a positive ROI for them. There are a few objections you will hear repeatedly. If its a cost issue I explain our low pricing system and that our product costs 1/10 of what they would pay to replicate this same mailer on their own. If its a risk issue I explain no long term contracts and also that low cost of entry. If its a competition issue with other mailers then I address the professional quality of our product, lower cost, more “views” in their targeted neighborhood, fewer offers, no contracts, exclusive spots, and the synergy of being listed with only other locally owned independent businesses that their customers know, like, and trust. Take more action, start sooner, do more walkins, join more business groups(meetup.com), get more samples to start the first card, ask for more referrals from both your new clients as well as the people that aren’t going to work with you right now. I had a moving company that did NOT advertise with me but gave me a lead to a pizzeria. This pizzeria has now done large ads($595) on 3 different cards. Take action, take action, take action. Nothing happens until you start talking with business owners. Make it a goal to talk with 20+ business owners per day. The look and feel of our postcards really does make the sale so get as many samples as possible to leave with and for business owners, so you get it in their hands. If the sample card is from out of state just explain that your “partner” has been running with this new EDDM program for the last 6 months with great success but it is the 1st time being offered in your area. Stress the “local marketing co-op” format and how you are building a “team” of smart like minder local business owners that want to utilize the best and most remarkable direct mailer on the planet! Oh yeah DON”T FORGET TO TAKE ACTION NOW!!!!! I know you have quite a bit of experience in SMS, can you share your experience with SMS marketing aside from the postcard? Also, have you tried integrating SMS or mobile marketing into your postcards and would you suggest others try it? You are right I could fill multiple webinars regarding SMS. I only tried it on my first card since I had an extra spot. I ran a $100 dinner contest and that people could get mobile coupons for local restaurants right to their phones. I got less than 20 entries so I decided on the next 4 cards to sell the spot for $595 each instead of trying to build the SMS list. I am still curious why I didn’t get a better response. I will probably try running the SMS on the card again in the future. We have 7 different ways to help businesses build their SMS lists and POS is usually the best. But I will also want to start integrating text marketing with the more well known companies in Seattle to see if they can get a better response than I did. Do you have an SMS white label service or anything that you’d like to share with us about the process? Recognized it as a gateway to gaining new clients & recurring rev gen with upside profit potential! How many cards do you have out so far? What methods of prospecting are you using and what’s your pitch like? I’ve also had success by sponsoring locally supported non-profits and creating “events” involving the community/media. Do you target certain businesses? Do you find that some types are easier to deal with than others? restaurants seem to be easiest for me (I have 2 Sysco drivers sending leads/pre-selling spots). Otherwise, a mixed bag. Any examples of how you overcome objections that come up frequently? Who are you using to the Ads? Any thoughts on the process of working with a designer? 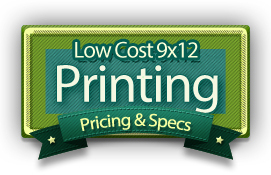 spread out among several graphics cats primarily from fiverr. Ego stroking and culling the herd… many seem to be primadonnas with delusions of grandeur. The really good ones simply “get it”. systemize and work the system… modifying along the way. I spent quite a bit of time trying different sales approaches and pitches. don’t give up! you’re only 3 feet from gold!!! work a solid plan of attack & remain persistent no matter what hardship comes your way.